A 60 inch TV is a rare beast. Large enough to enhance your viewing but not so big it will take over the entire room, it's a TV size that many manufacturers choose to skip. But if your living room layout calls for exactly this size, we've got you covered with our pick of the best 60 inch TVs available. If a 60 inch TV is not quite right, check out our best 55 inch TVs or 65 inch models. 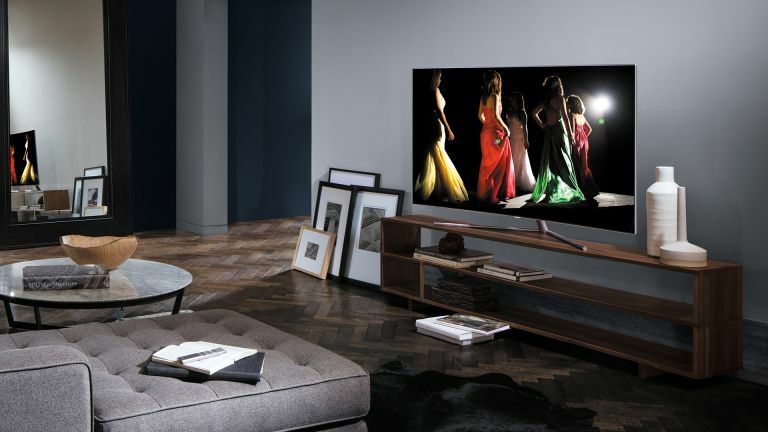 LG's 60UJ634V is a TV that ticks all our boxes. It's equipped with the firm's stunning WebOS operating system, which is slick and easy to navigate, and the inclusion of Freeview Play is a great way to use catch-up services to access any programmes you might have missed. Its IPS LCD panel isn't half bad looking either. You won't get quite the same contrast as you would from an OLED TV or VA LCD panel, but it's got lovely wide viewing angles and great vibrant colours. The only mark against this TV is its slightly below-average audio, but since we'd always suggest picking up an external soundbar to complement any TV we're not going to hold that against it too much. The Sony Bravia XF83, available in either 60 or 70 inches, boasts 4K HDR picture quality, in addition to a sleek and lightweight design – perfect for a contemporary space – and built in Google Assistant (see our review). Designed with entertainment in mind and packed with technologies to enhance the viewing experience, the Sony Bravia XF8 transfers everything you love from smartphone or tablet onto the big screen. With built in Google Assistant, it's never been easier to control your smart TV, find your favourite programmes and surf the web with simple voice commands. Concerned about the appearance of your TV? The Sony Bravia XF83 has you covered with a premium, soft edged bezel that gives it its contemporary look, and a convenient cable management system. With Ultra HD built into a unique IPS 4K panel, the LG 60UJ630V makes entertainment viewable from any angle, and without distortion. This, coupled with advanced picture processing, and HDR effects, lifts entertainment to a new level of colour and contrast. So, the LG 60UJ630V is evidently designed with high quality entertainment in mind, which makes its built-in Freeview Play a perfect addition. It's never been easier to enjoy catch-up TV from BBC iPlayer, ITV Hub, All 4 and Demand 5, as well as films and box-sets all from the comfort of your sofa (and in high quality). A multi HDR television with Dolby vision, the LG 60UJ750V not only offers enhanced formatting technology, but a dynamic and technicolour HDR to boot. Designed to transform the viewing experience with enhanced brightness, contrast and colour, scene by scene optimisation enhances the experience of watching television. This is, in part, thanks to the addition of ultra luminance, which expands contrast range. To translate, this means brighter whites and darker blacks. In addition to offering a high quality viewing experience, the LG 60UJ750V comes with a stylish and contemporary aluminium frame design which won't offend interiors lovers.